Creating joy, love, peace and inspiration to the the world through life and art. designed to make you smile and warm your heart! Each portrait or “doodle” celebrates the spirit and personality of a beloved pet and the unconditional love, joy and comic relief they bring to our lives. Painting Doggie and Kitty Doodles continue to be are a way to connect to the pure joy and love she feels around beloved animals. 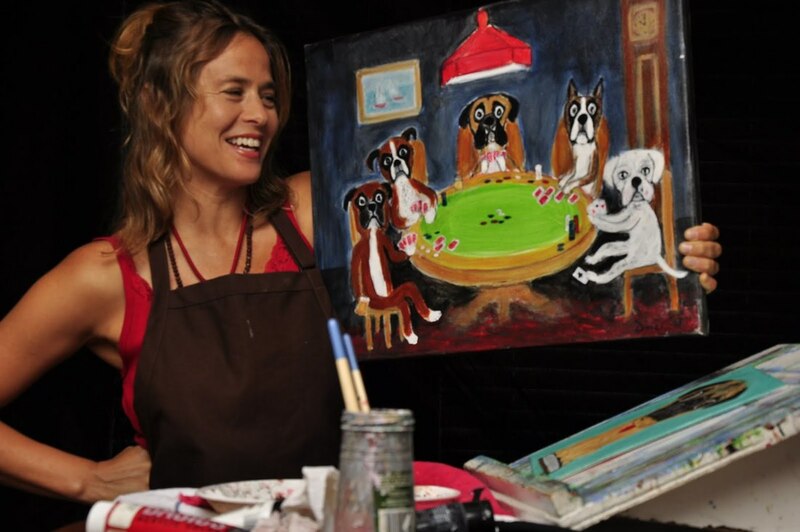 She recently developed a PLAYSHOP where she guides others into connection with their pure joy and love through "The Joy of Doggie Doodling"
Dina is also a musician, singer/songwriter, community builder, compassionate activist and Nature Meditation guide. The signature heart represents the explosion of love I feel in the presence of our beloved pets. The creation of doggie doodles was born out of the desire to express and embody that love. May the doodles bring as many smiles to your face as they have to mine!